The tour itself was great. The location and work they are doing is a must see. The value for money is appalling. Entry to the orphanage is paid by your guide on arrival and is 7USD. So you are essentially paying 55USD per person for a transfer from Nairobi to Nairobi National Park. From the CBD where we were staying this is of about 30USD value, per vehicle, not per person. Would definitely recommend skipping this tour and organising it yourself some money About 82USD for the two of us. I enjoyed seeing the elephants feed and play. 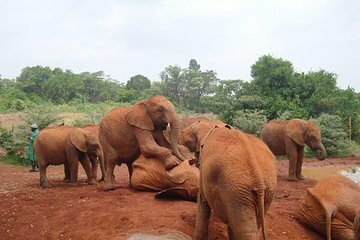 I really enjoyed hearing the commentary on each elephant - their age, how old they were when they came to the orphanage, and the process for working with the elephants at different ages. Very informative and fun.